On July 9, 2013, Illinois became the last state in the country to adopt a concealed carry law, which immediately created a wide range of issues of concern to public- and private-sector employers. The new law goes into effect on January 5, 2014. What provisions of the law impact employers and employees in the workplace? In what locations does the law prohibit concealed carry, and in what locations can employers elect to prohibit concealed carry? What potential issues should an employer consider in determining whether to prohibit concealed carry—either in the workplace or in a business open to the public? What are the most recent developments from around the state? Seminars were held in Rockford on October 16, Peoria on October 17, and Urbana on November 6.
a. Can employers prohibit employees from carrying concealed weapons at work? b. How can employers prohibit employees from carrying concealed weapons at work? c. Potential issues an employer should consider in determining whether to prohibit concealed carry. Ms. Hackmann's practice is focused on defending public and private entities in the areas of employment law, civil rights, and commercial litigation. She has defended clients before the Illinois Human Rights Commission, the EEOC, and in state and federal courts. She has significant experience defending public school districts, community college districts, and universities in claims filed by students and employees. She is a co-author of "Survey of Illinois Law: Employment Law," (2008) published by the Southern Illinois University Law Journal, and "Liability for Acceding to a Customer's Racial Intolerance," published by the Association of Corporate Counsel. Mr. Luther supervises the employment law, employer liability, and Workers' Compensation practices in the firm's Rockford and Chicago offices. He has represented numerous employers before the Illinois Human Rights Commission, arbitrated hundreds of Workers' Compensation claims, and tried numerous liability cases to jury verdict. He is a co-author of "Survey of Illinois Law: Employment Law," published by the Southern Illinois University Law Journal. Mr. McClenathan has handled commercial and civil litigation in state courts in more than 19 counties in northern Illinois and in the Northern District of Illinois federal court. He has also represented municipalities and individual clients before various governmental bodies. Prior to joining Heyl Royster, he worked for the legal department of the Defense Logistics Agency (Defense Contract Services) of the Department of Defense in Chicago; and the legal departments of Land O'Lakes, Inc. and 3M Corporation. Ms. Stegall counsels clients on issues related to employment, compliance, transactional, and contractual matters. She has drafted and revised staff bylaws, employer policies, and employee handbooks. Before Heyl Royster, she served as in-house counsel for Roadmaster Industries, Inc.; as Industrial Relations Manager for Brunswick Corporation; and as in-house counsel for Brunswick's bicycle division. She is a co-author of "Survey of Illinois Law: Employment Law," published by the Southern Illinois University Law Journal. 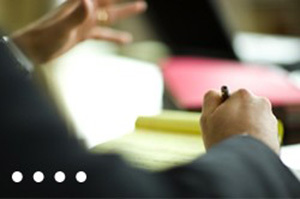 Mr. Taylor has been involved in the firm's litigation practice groups since joining the firm in 1996. He has been a member of the firm's Employment, Toxic Tort, Healthcare, and Professional Liability practice groups. As a member of the employment law group, he has defended employers, municipalities and government agencies in employment discrimination and civil rights complaints in both administrative agencies and state and federal courts.